Because Solar power is so abundant during summer festivals in the UK…… Stop laughing I’m serious! Solar panels make lots of sense. For years we have powered our festival stage solely with pedal generators. Getting people involved powering the show is part of the show and a great way to improve your mood through exercise, meet people and prolong your health and life. We still happily and regularly power shows without needing batteries and solar power. Solar is, however, an abundant power source, and one which is relatively easy to harness. Even when the sun doesn’t shine you generally get 5-10% of the capacity of the panels. Which is enough to power stage lights and a mixer or two. The problem with solar power is you rely on batteries to provide power when you need it. Batteries are crazy-heavy which is why a lot of solar power providers use >7.5tonne trucks. to transport their equipment. Batteries themselves take energy to produce and although reclaimed batteries are available the technology most available second hand (lead-acid) was designed 2000years ago and doesn’t charge very efficiently or last for very many charge cycles. There are regular improvements in battery technology but we chose LIfePo4 for its inherent safety, long life, reduced size and weight and prolonged lifespan. This technology also has a good reputation for being comparatively clean to produce. Compared with a dedicated solar truck stage we have very little storage. and although the technology we use allows very deep discharge and rapid recharge we can’t power the whole sound system from solar power for very long once the sun goes down. To avoid confusion, we power the sound system entirely from the bike generators and use the solar generator to power the lights, mixers, decks, Laptops and other auxiliary and stage equipment. Sometimes using excess power from the panels to help the bikes once the battery is charged fully in the scorching heat of the northern sunshine! Our solar generator has 1KW of generation capacity and 2.5kwh of storage capability. This allows 100% of the bike generator power to go to the sound system meaning we can play louder. Plus it reduces the quiescent current draw thereby reducing the minimum power needed to keep the system going at a lower level during changeovers and breaks in the crowd where they occur. At Equinox festival 2016 we had a lovely stage under tree cover and no sunny spots close by. Because of our choice of batteries we were able to transport the solar batteries to the stage for the evening and back to the trailer to charge in the morning. 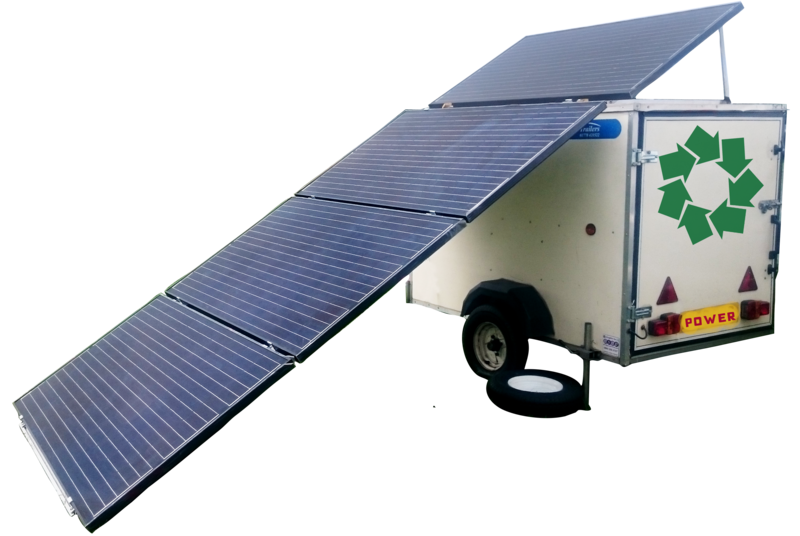 Meaning great flexibility for eco power at events. We have had great success with this since we built it in 2016. 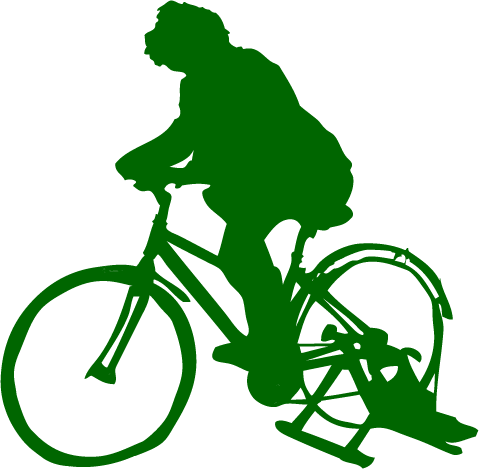 Get in touch to hire our Solar generator with or without the bikes!